Seventeen days into this year and I’ve already checked if mercury is retrograde like thirty times, so that should give you some idea of where I’m at. Things fall apart, friendos, and in this wise words of the Talking Heads, well how did I get here??? The only thing going right so far, touch wood, is the books. I’ve set my 2019 Goodreads challenge at 105 books, and I’m currently sitting at 11, which puts me 7 books ahead of schedule. Yay me. 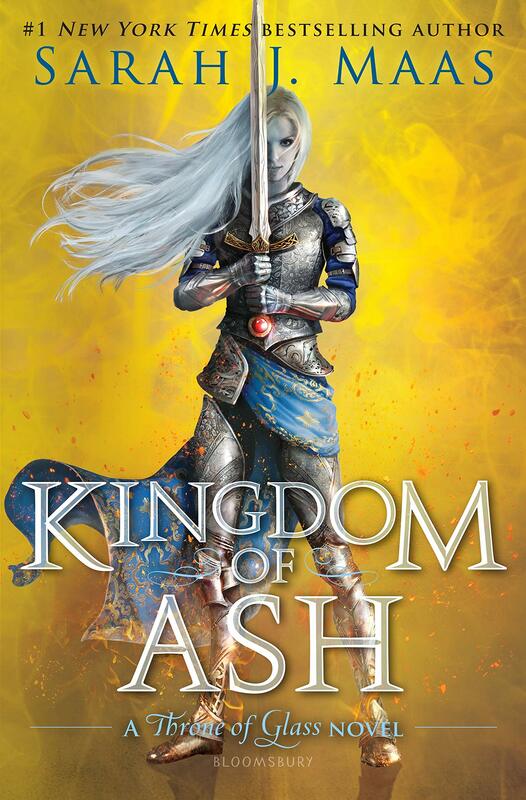 Today I’m nonverbally reviewing Kingdom of Ash by Sarah J. Maas, the long-awaited and much-anticipated conclusion to the Throne of Glass series. I think I’ve hit my Maas threshold. Enough already. Back eventually with actual words.